Comments: The people of Earth have moved underground at least those who survived the last Great War. A group of four friends are hanging out and one wants to escape from the city and go to the surface. Eran, Noa, Alex and Adi have a possible way out. 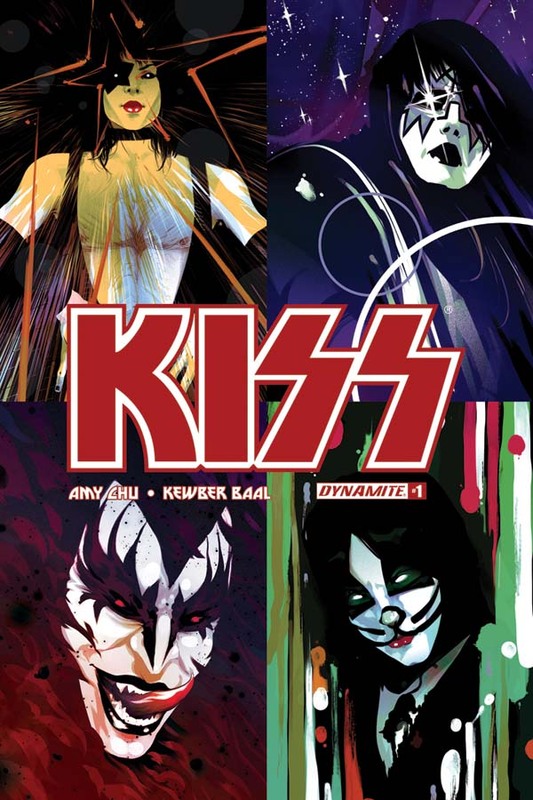 As they explore they keep seeing symbols of KISS. The more they explore the more they find. Their city is a lot bigger than they thought. The art at times is vague. At other times it has the details it should. The exploring does lead to excitement and questions. The members of KISS at least their images are shown. What do they have to do with this story? There is mystery as well. It will be interesting to see how the members of KISS fit into this future world.